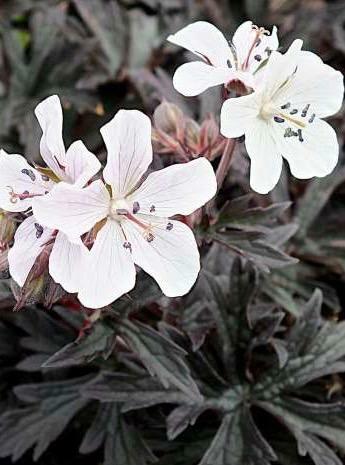 A new geranium, rich dark purple deeply divided foliage. Clusters of pure white flowers, June to July, often flowers again. 50cm tall. Sun or semi shade.